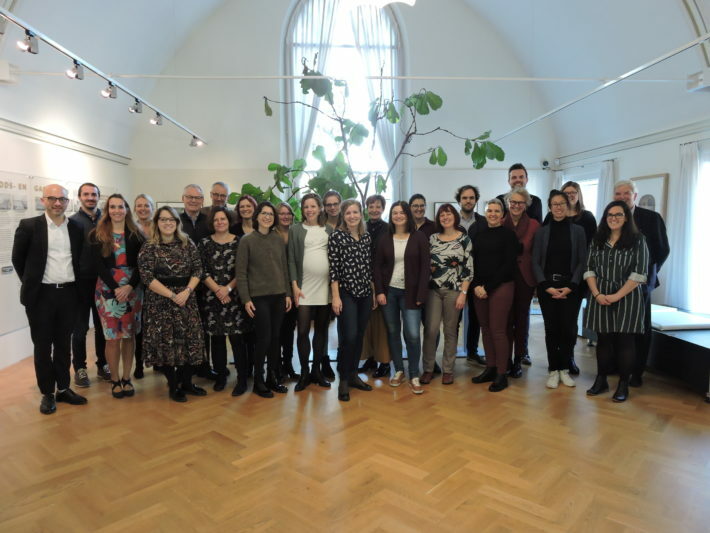 IFIC’s Senior Fellow Maggie Langins and Junior Researcher Jenna McArthur joined colleagues at the SUSTAIN consortium in Utrecht, Netherlands, to finalise a roadmap aimed at providing better care for older people. In a three-day meeting, colleagues reviewed the final version of roadmap and completed an overarching analysis of the three-year project. The next steps for validation of the roadmap will be to recruit volunteers among policy makers and managers of clinical sites to conduct the validation in December 2019. The roadmap will be available to the public in February 2019. “The roadmap is turning out to be a truly valuable resource for understanding the opportunities and challenges of engaging research capacity in and around sites dedicated to integrated care. SUSTAIN has really demonstrated what can be done in this area. So much more to learn and do in this area if we want to get integrated care right!”, reported Maggie after returning from the meeting. SUSTAIN, is an EU-funded research project aimed at improving the way care services for older adults are organised and delivered across Europe; especially for those who have multiple health and social care needs. SUSTAIN involves partners from nine different countries, including IFIC, and is funded by Horizon 2020.